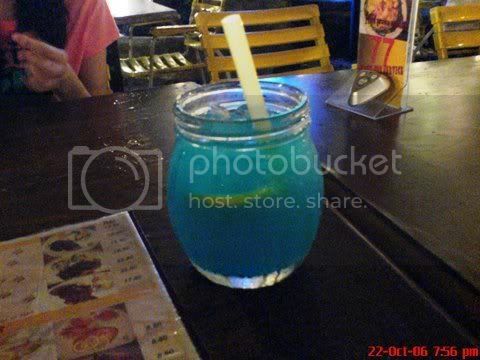 erm... let me recall.. what is this drinks called?ohh ya~ it called LEMON BLUE~ how it taste? taste EXACTLY like it's name. LEMON. hahahaha. not bad... look special. Baked Escargot!!! but... it not really baked... i knew it.. coz i used to made it while i working part time in COW BOY DELIGHT restaurant.. let me tell u how they make it . 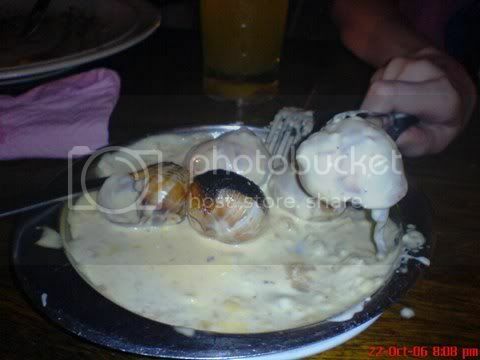 1st take ur cane opener.. open the cane of escargot.. then pour the escargot source on top on it.. put into oven. TING.. ok.. it's ready. whahahaha, how i know is the same? coz it taste exactly the same.. 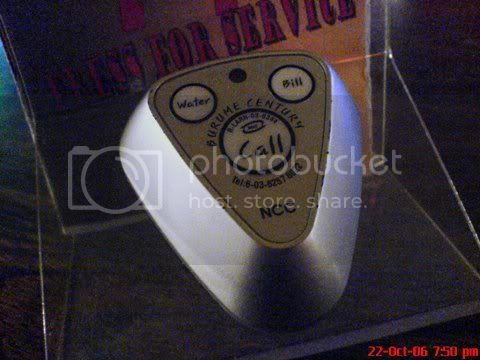 This is the device that attract me most... what is it??? 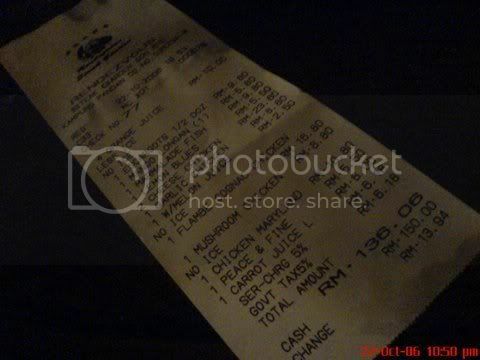 used to call the waiter to make order.. asking for bill or bla bla.. is a wireless device... sound coool huh?? 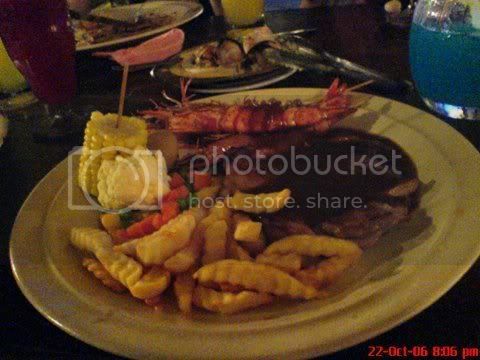 no need to waive ur hand and ask for waiter/waitres to come . 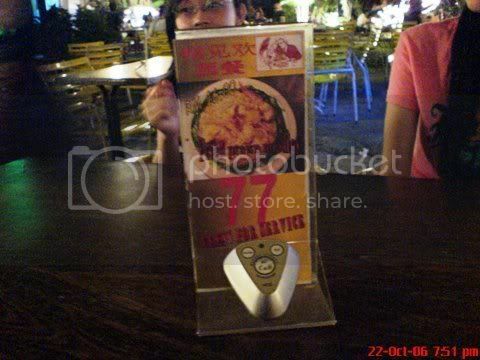 hahaha press 1 button then someone is comming. Optimus keyboard, it SUper COOOL, Fantastic !!!! My Very Own X'Mas Tree!! LinJin Wedding in Hei Loi Teng!